I went to bed last night slightly jealous of the thousands of fans who were going to the midnight premiere of “The Dark Knight Rises.” No one could have imagined what would happen in one movie theater in Aurora, Colorado. My heart goes out to the victims who were gunned down while trying to watch a movie, and hopefully all this ugliness will pass soon. When something like this happens, it’s only human to try to look for an explanation. However, in this case, maybe people should keep their mouths shut and let those affected grieve. This morning, I turned on the news to get more information on the shooting, and instead heard an anchor talking with a writer from U.S. News & World Report about whether “Dark Knight Rises’” violent imagery inspired the shooter to kill 12 people. Yes, this movie is incredibly violent; it’s main villain is a masked terrorist named Bane who has no problem massacring innocent people. But to say that James Holmes opened fire because of something he saw on T.V. sounds pretty ridiculous. The theory that Holmes was responding to “ongoing attacks on Judeo-Christian beliefs,” as Rep. Louie Gohmert (R-Texas) put it, is equally ridiculous. Neither scenario is out of the question for a truly disturbed individual, but we don’t know what Holmes was thinking; making assumptions about his motivations just makes the speaker sound like they don’t know what they’re talking about, because they really don’t. What makes these comments truly unsettling, though, is how quickly the media and politicians are willing to apply existing and self-serving narratives to a tragedy. The idea that violent video games and movies inspire violent actions has been going around for years, and makes great copy, and refocusing things from gun control to religious freedom would probably pay dividends for a Texas Republican. 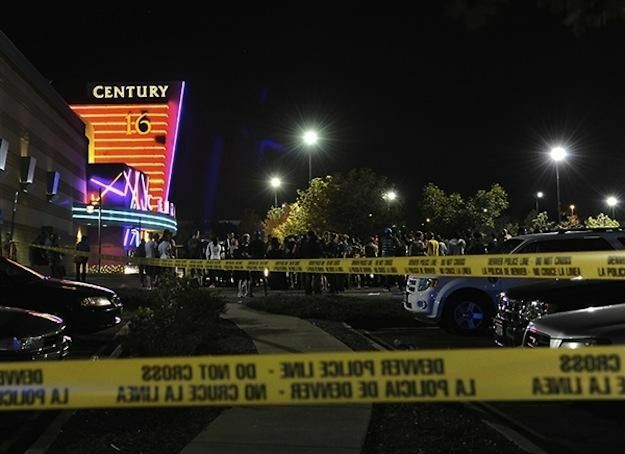 What happened in Aurora is tragic, and it should be left at that. People were needlessly killed; their deaths will not be exploited. Presupposing why the shooting occurred is worse than ignorant, it is reprehensible. This entry was posted on July 20, 2012, 9:03 pm and is filed under Uncategorized. You can follow any responses to this entry through RSS 2.0. You can leave a response, or trackback from your own site.